The feeling of space is with you from the moment you open the door to this gem of a one-bedroom apartment on level three. Large, polished white porcelain tiles are just the start of the clean modern lines. 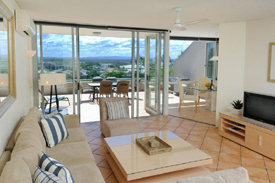 Completely renovated and refurbished, bi-fold glass doors open from the living room onto your private terrace with spa-bath, BBQ and outdoor furnishings. It's hard to tell where the inside stops and outside begins. 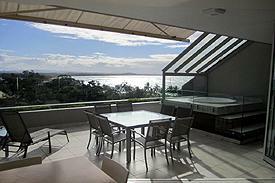 Gorgeous views from the whole apartment take in Laguna Bay and the hinterland – a couple's perfect getaway. No. 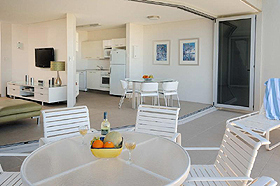 1 In Hastings Street's apartments are contemporary in style and are light and airy. Our three bedroom apartments are located from level two through to level seven and our two bedroom apartments are from level three through to level nine. 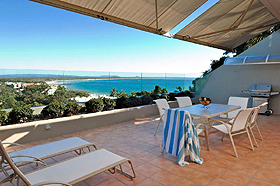 Facing north-west, they have varying views of Noosa Main Beach, the hinterland and Noosa River. 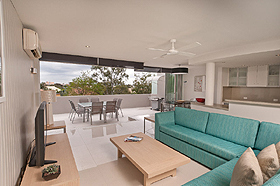 Wide glass bi-fold or sliding doors fold back from the spacious living areas to reveal private expansive terraces, with remote controlled awnings. 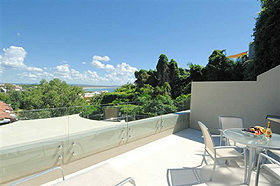 They are furnished with outdoor dining settings and lounges and your own private barbecue. Most have a spa bath or king size day bed. The bedding is either a King or Queen bed in the master suite, with each of the other bedrooms having two singles in them. 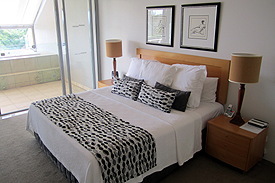 The single beds can be converted to king size on request. 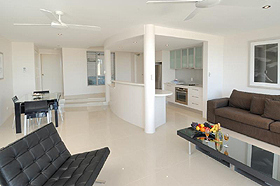 The apartments have reverse cycle air-conditioning and ceiling fans throughout. A fully equipped kitchen, two or three bathrooms and separate laundry makes them the perfect home away from home. 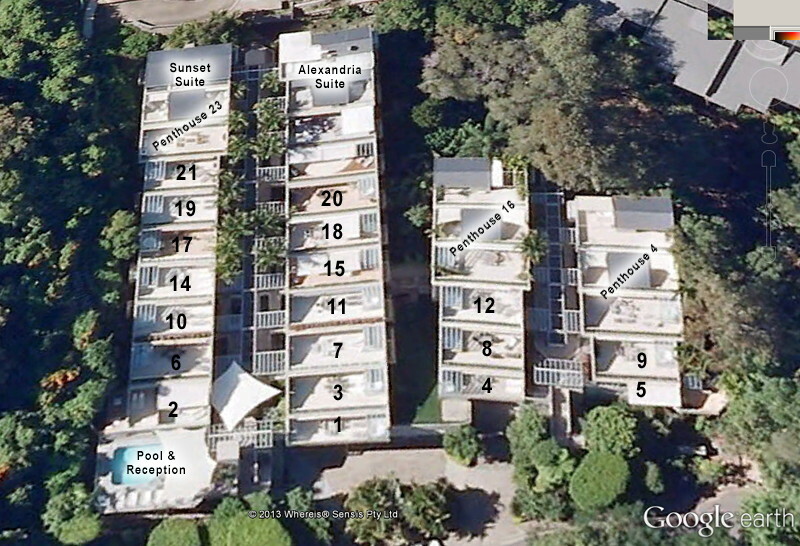 Photos of each apartment can be viewed on our Gallery Page. 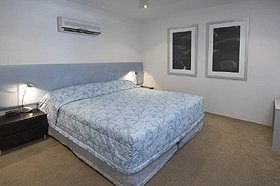 Further information is available on our Compare Facilities and Apartment Location pages ~ you will know exactly where the apartment you have chosen is situated in the building.